Liberty University recently claimed Military Times’ 2019 title of the “Best School for Vets” for online and nontraditional schools, works to provide support for services member and veterans. Liberty University Online student Christy Maes understands why Liberty is ranked #1. She is a military wife to a master sergeant in the South Carolina Air Force National Guard. Liberty has a reputation of providing outstanding support for the nation’s military. More than 30,000 active military service men and women, veterans and military spouses pursued degrees through Liberty University in last year alone. Thirty percent of Liberty’s Class of 2018 had military affiliations. Some members of Liberty’s staff even visit Fort Bragg each year to host a graduation ceremony for online graduates unable to travel to Lynchburg for commencement. Army veteran, Veterans Center manager and Military Student Liaison, Jonathan Norman said Liberty’s attitude of patriotism sets Liberty apart when it comes to respecting veterans and the military. What makes Liberty stand out in their treatment of veterans is their heart behind it. 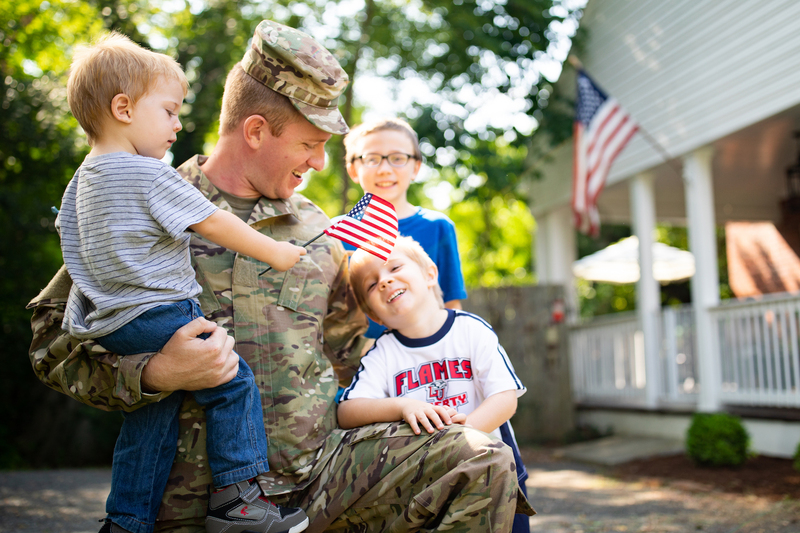 Liberty not only stands beside service men and women, but it supports their families as well. Liberty has a leading rank on the list of Top 50 Schools for Tuition Assistance, along with the Military Friendly schools list. Liberty also received the designation of a Purple Heart University last year because of its respect for those injured in the line of duty. The Office of Military Affairs provides academic resources and special events for current or former military members and their families. The Veterans Center in Montview Student Union fosters community and provides mentors and tutoring for the veteran community of Liberty. Having access to the guidance of other veterans guides veterans through the difficult transition into civilian life. The Veterans Center offers veteran-to-veteran tutoring and a Bible study every Wednesday night, in collaboration with the Student Veterans Association. Director of the Office of Military Affairs Emily Foutz said there are many institutions that value the United States military. What she believes sets Liberty apart is its focus on eternal significance. The Veterans Center also plays a pivotal role in helping military students transition into civilian life through the support and camaraderie they provide. Liberty professors work with military students and respect their schedules. Military Affairs Center agent and Marine veteran Kelsey Bondurant praises Liberty professors for their willingness to work with them. Bondurant completed half of her online degree during her enlistment. Liberty continues to honor veterans and service members each year during Military Emphasis Week. This year’s Military Emphasis Week is Nov. 7-14, featuring a Veterans Day Parade at 11 a.m. Saturday, Nov. 10, as well as a Military Appreciation Convocation Nov. 14. Liberty hosts a #HonorThem Night of Gratitude on Nov.14 to remember and celebrate veterans. Liberty will also pay tribute to veterans and active military on Nov. 24 during the Military Appreciation football game against New Mexico State in Williams Stadium. Visit the Office of Military Affairs Nov. 7 for a veterans open house, or visit the website or email militarypoc@liberty.edu.